Here the entrance to Buitenverwachting. Suitably meaning “beyond expectation”. 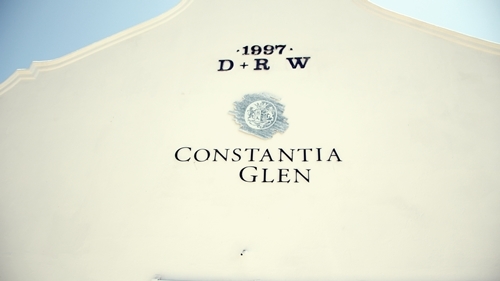 Situated in the Constantia Region of SA, which originally consisted of just one estate established in 1685 by the then Cape Governor “Simon van Der Stel”, hence now divided over ten wineries. 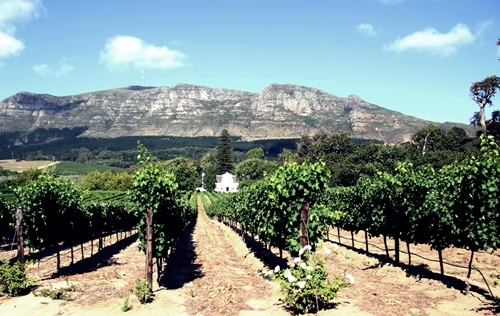 Vineyards in front of the classic Cape Dutch styled Manor house of Buitenverwachting. 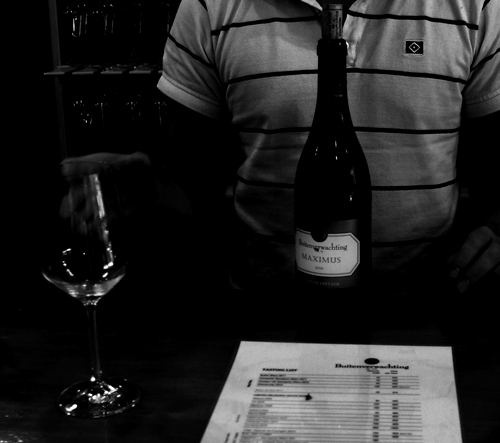 Their flagship wine “Christine”, a subtle blend of Cabernet Sauvignon, Cabernet Franc and a tiny portion of Merlot. 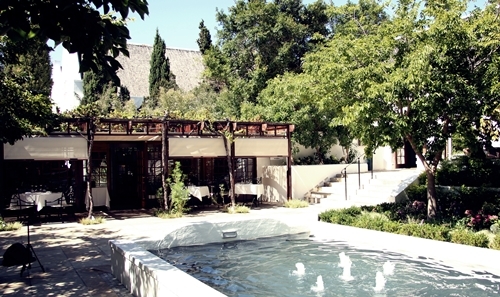 Buitenverwachting also hosts one of Cape Town’s finest restaurants. Although they perhaps are more known for their subtle Cape Bordeaux Blend “Christine”, their limited releases of Sauvignon are nearly as profound, and “Maximus” leaves a grand impression. 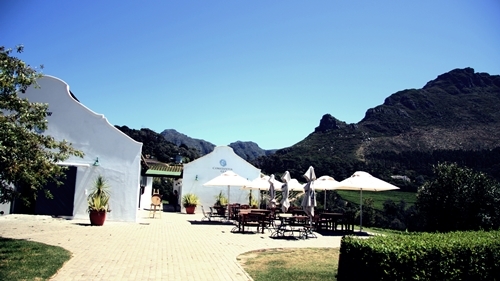 A newer estate of the region, focus less on entertaining tourists and more on entertaining the wine-aficionados. 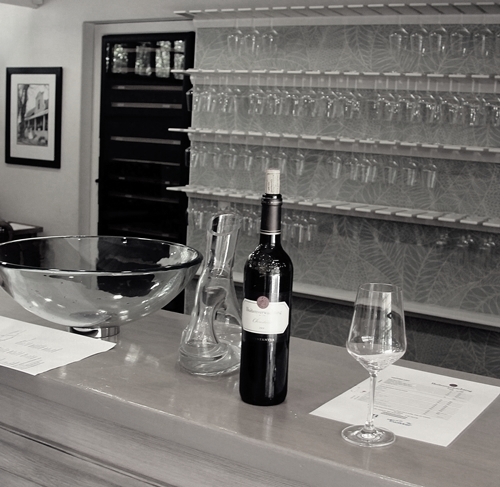 Estate’s tasting room has scenic surroundings in the highs of Constantia. 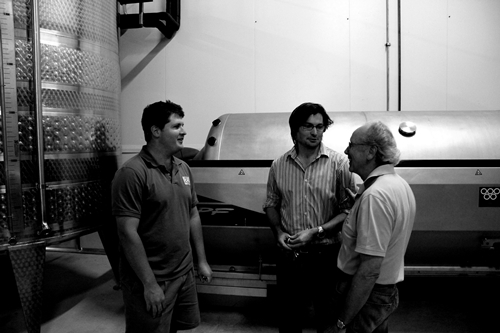 Passing us during our visit their current winemaker; “Justin van Wyk”(left), while the charming CEO “Horst Prader”(right) showed us around their advanced production facilities. Their simple portfolio of Five(left), Three(centre), and their fresh Sauvignon(right). Moreover recently added a white blend “Two” of Sauvignon and Semillon, which I look forward to sampling. 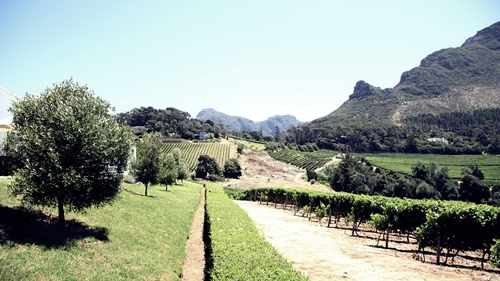 The rolling vineyards of Constantia Glen. 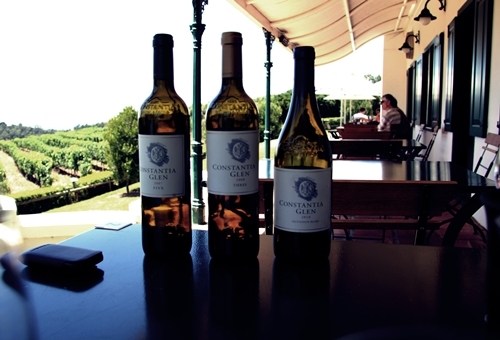 The calm ambience of their tasting room’s terrace, makes the perfect setting for sampling their impressive two Red Blends; Three(centre) and Five(right). 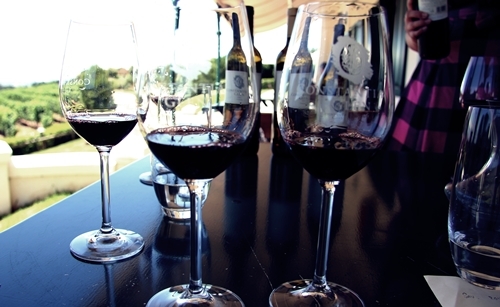 Three is a blend of Cabernet Sauvignon, Cabernet Franc and Merlot, Five also include Malbec and Petit Verdot. Two very pleasing wines.